These images show Tropical Depression Debbie in the Atlantic, from the Atmospheric Infrared Sounder (AIRS) on NASA's Aqua satellite on August 22, 2006. This AIRS image shows the temperature of the cloud tops or the surface of the Earth in cloud-free regions. The lowest temperatures (in purple) are associated with high, cold cloud tops that make up the top of the storm. 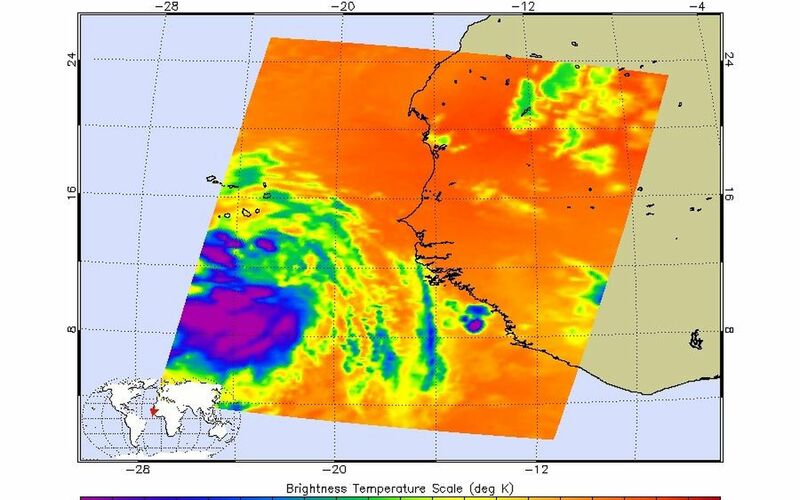 The infrared signal does not penetrate through clouds. 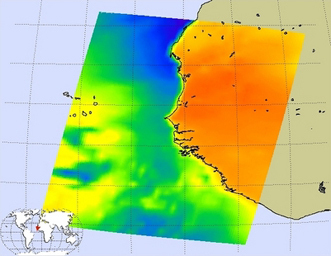 Where there are no clouds the AIRS instrument reads the infrared signal from the surface of the Earth, revealing warmer temperatures (red). At the time the data were taken from which these images were made the eye had not yet opened but the storm is now well organized. 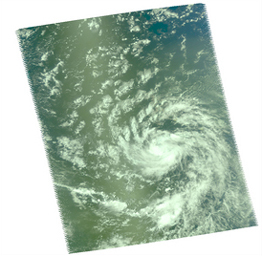 The location of the future eye appears as a circle at 275 K brightness temperature in the microwave image just to the SE of the Azores. The microwave image is created from microwave radiation emitted by Earth's atmosphere and received by the instrument. It shows where the heaviest rainfall is taking place (in blue) in the storm. 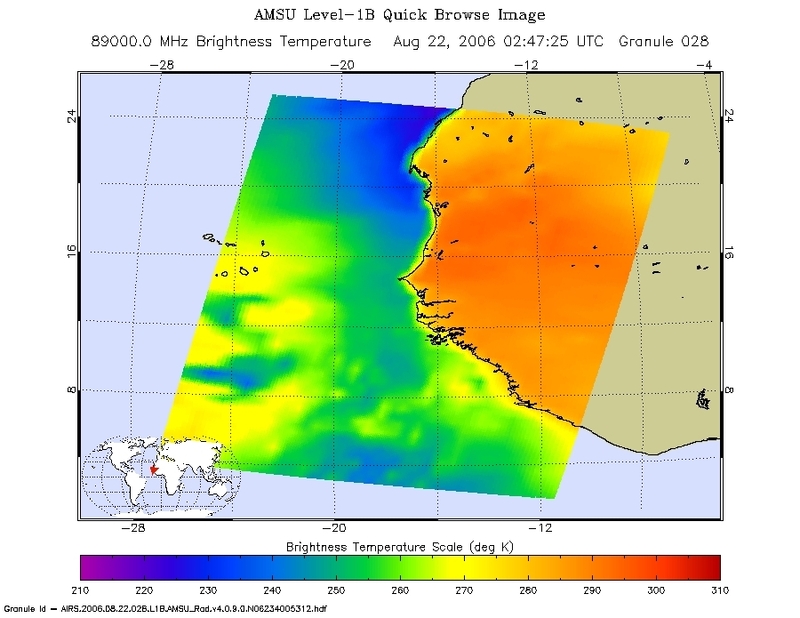 Blue areas outside of the storm where there are either some clouds or no clouds, indicate where the sea surface shines through. 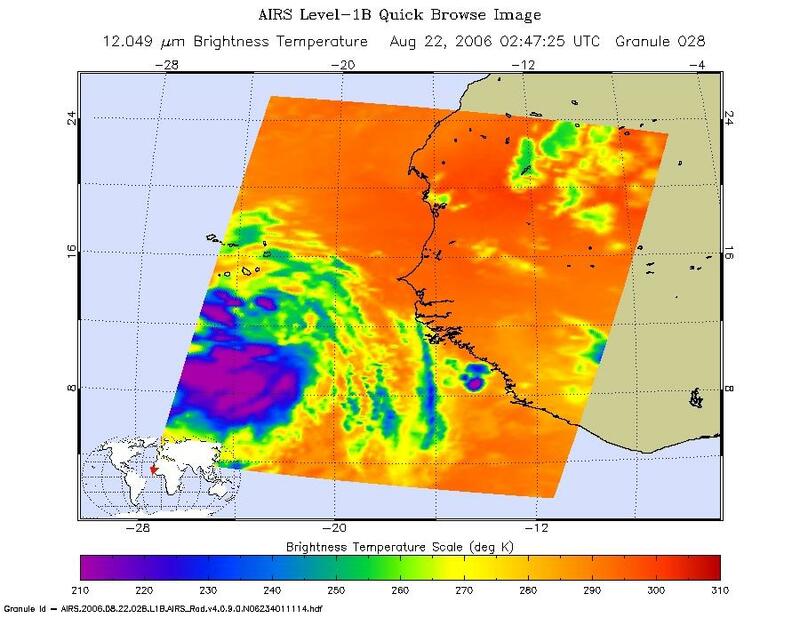 Tropical Depression Debbie captured by the visible light/near-infrared sensor on the AIRS instrument.